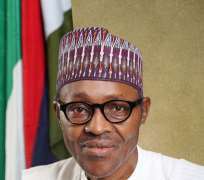 President Muhammadu Buhari has called on the Academic Staff Union of Nigeria Universities(ASUU) to call off the lingering industrial action embarked upon by the union in the overall interest of the nation. The President made the call in Ebony during the 3rd convocation ceremony of the Alex Ekwueme Federal University Ndufu-Alike Ikwo Ebonyi State. Represented by Barrister Victor Onuoha, Deputy Executive Secretary of National Universities Commission, said the federal government had provided the requisite environment for teaching and learning in the university of Nigeria system. “I congratulate the University by ensuring that it's yearly convocation was held. I also felicitate with the graduates for their painstaking efforts without which this day would not have been ,and to their parents guardians and friends whom are gathered here today to celebrate with their children and wards. “These fresh minds represent our hope for a better future as they are expected to invest their time and intellectual resources in the development of our nation and the world at large. “Today marks another milestone in the annals of this university as it turns out yet another group of young Nigerians grounded in the culture of excellence and integrity which the university is reputed for to excel in their various fields achieving the full potentials in our country. “The federal government of Nigeria is determined to provide the requisite environment for teaching and learning in the university of Nigeria system. This result is one of the reasons for the energizing education program which the Alex Ekwueme Federal University, Ndufu-Alike is one the nine beneficiaries in the first phase. “The objectives among others include, the provision of off grid alternative sources of power to federal universities and federal teaching hospitals. To promote and facilitate self secure and conducive environment as well as develop and operate capacity building centres to train university students in renewable energy generation. “Universities have critical role to play in nation building. They must justify this through excellence productive led crusade, innovative ideas and empowering the youths with right mental attitude, functional knowledge and saleable skills to globally competitive and our national development. “Nigeria universities should ensure that students were provided with capacities to discover their innate qualities and use same to impact positively on global economy. “Let me clearly state that the federal government appreciates the importance of education in our march to economic prosperity. It will therefore continue to ensure that it provides infrastructure in our institutions through the annual appropriations, including the tertiary education trust fund. “This administration is not unmindful of the fact that funding for education may not be adequate largely due to lean resources and other competing national needs. I want to assure Nigerians that we will continue to do the needful within the limited available resources. “Consequently, I urge the Academic Staff Union of Universities(ASUU) to suspend its ongoing industrial action in the overall national interest. “To our new graduands, today marks a new face in your for you in your journey through life. I urge you to take avail yourselves of the federal government intervention projects to excel in the chosen field of your profession”, he enjoined.